Barbara B. Robeson, 86, of Yorktown, Va., passed away Thursday, April 4, 2019 after a sudden stroke. She was born in Lynchburg, Va., to Frances S. and John N. Buck. She graduated with honors from E.C. Glass High School and attended Lynchburg College. Barbara is survived by two children, John M. “Chip” Robeson IV (Kathie) of Yorktown, and Laura R. McElhaney (Charles) of Bedford, Va. Her great-grandson, Nazareth Hibbs of Norfolk, Va. also survives. Barbara retired from the business office of the Hampton Health Department in 1995. 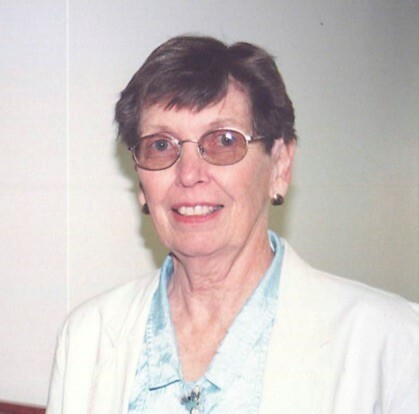 Barbara was a long time member and former staff member of Christopher Newport University’s LifeLong Learning Society. She was a brilliant, talented and artistic woman. Her works as a painter, sculptress, and potter were well known and appreciated by so many. A Master Gardener, Barbara appeared to be able to coax plant life from thin air. She was always happy to teach others what she knew of anything she had mastered. She enjoyed the outdoors and spent many years bicycling in the US, Canada and the UK. A lifetime highlight was a bicycling trip she took with her daughter and son-in-law across the US to Oregon in 1979. She also fondly remembered a whitewater rafting trip down the Colorado River she took in her late 70’s. She enjoyed kayaking near her home until her health declined. She was an avid reader and could edit like a professional. She was devoted to her animals throughout her lifetime and leaves behind her cats, Nickel and Two Bits. The world is a better place because of her time here. She will be greatly missed by family and friends. Services will be private. Arrangements have been entrusted to Claytor Rollins Funeral Home and Crematory in Poquoson, Va. In lieu of flowers, the family requests that donations in memory be made to CNU’s LifeLong Learning Society (http://cnu.edu/lifelonglearning/); to the Wounded Warrior Project (https://www.woundedwarriorproject.org), or to the Peninsula SPCA (https://peninsulaspca.org/).